Nowadays, general dentists wear many hats and perform numerous services to enhance and restore smiles. In his High Point dental office, Dr. David Novak provides exceptional dental care for patients whose needs vary substantially. We treat patients of all ages, and from general cleanings to teeth extractions, we can work with you to create the best possible smile. From the emergence of their first tooth, patients should begin visiting Dr. Novak for a dental exam and cleaning. Dr. Novak will examine your teeth, gums, and jaw as well as brush, floss, and polish teeth in order to remove existing plaque and tartar. For younger patients, our goal is to provide education about the importance of regular and proper dental hygiene. We provide dental cleanings and teach children how to properly brush and floss at home. Patients who are looking to enhance the appearance of their smile could benefit from a cosmetic dentistry procedure. We perform dental implant restoration, crown and bridge work, composite fillings, porcelain veneers, and more. Cosmetic dentistry can improve the look of your smile while also restoring the health and functionality of your teeth. When the bacteria in our mouths turns to tartar (or hardened plaque), it can begin to integrate itself into the gums, causing inflammation and essentially damaging the roots of teeth. In his High Point office, Dr. Novak offers periodontal disease treatment for patients whose infection has advanced to such measures. The key to treating periodontal disease is keeping it from spreading to other parts of the gum and jaw tissues. Using a deep cleaning method, Dr. Novak can help prevent the disease from advancing, as well as provide tips on how to restore the health of your teeth and gums. For patients with decaying, broken, cracked, or missing teeth, a dental restoration method can help you achieve a natural-looking smile, as well as allow you to regain teeth that are healthy and fully functional. Dr. Novak offers dental implant restoration, crown and bridge work, composite fillings, and root canal therapy that can restore your smile to a healthy state. A tooth that is severely damaged or that does not have enough room to grow in properly, may need to be removed. Dr. Novak performs oral surgery for patients in need of wisdom teeth extractions or the removal of a completely decayed tooth. 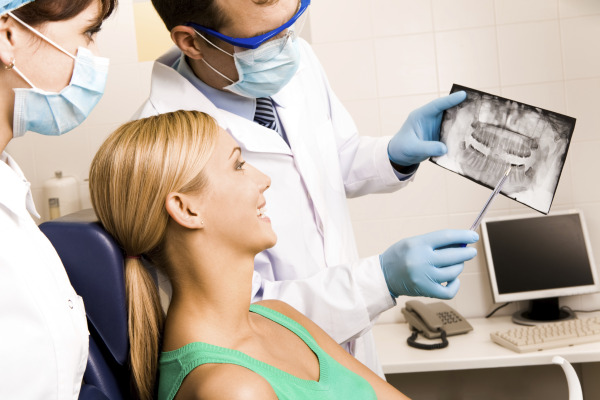 A tooth extraction can save the structure, bite position, and overall health of your teeth, and most patients experience minimal downtime once the extraction is complete. For more information about the procedures we provide, or to schedule a consultation, call Dr. Novak in his High Point office today!